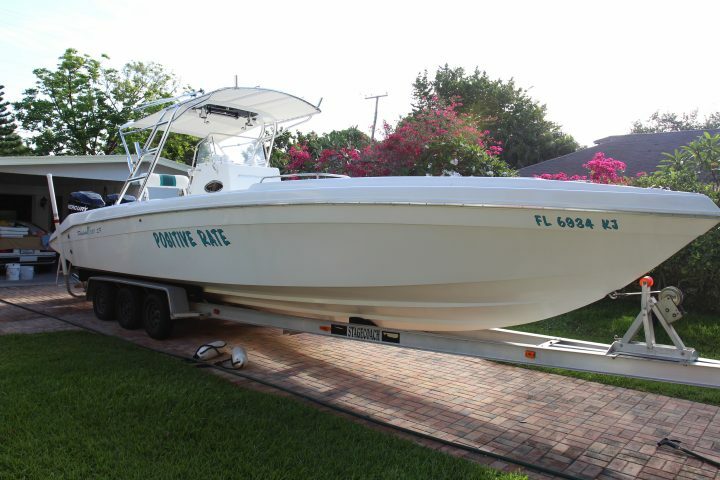 Nautical Ventures reached out to us on applying Glidecoat ceramic coating to a used 26′ Hurricane located in Dania Beach, FL because the owner wanted to sell their boat. Glidecoat is designed to serve a dual purpose for boat owners by enabling used boats to be restored to their original shine and luster. And, ideal for brand new boats looking for a preventative solution from oxidization and salt damage to their new purchase. 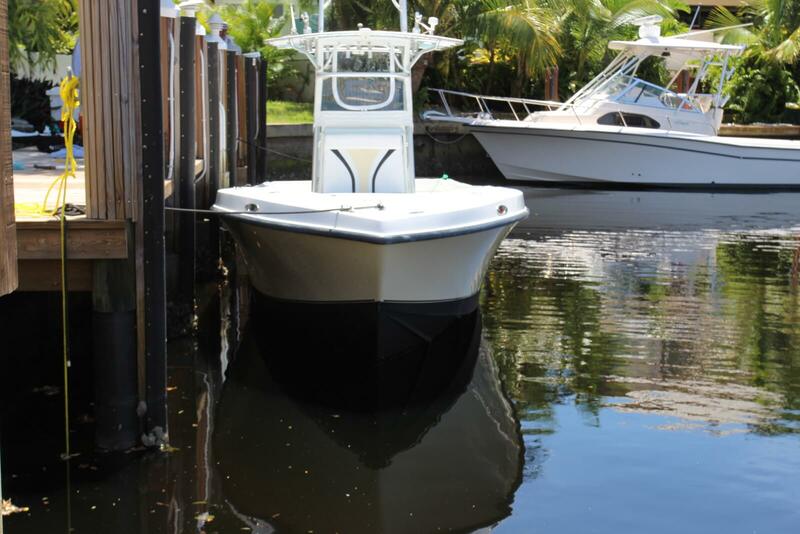 With proper preparation and applying the ceramic coating, your boat can be restored back to showroom finish. As Christian illustrated with the Gloss Meter Reading, the black stripe increased from 29.6 to 93.9 after the process. As a point of reference, brand new gel coat readings can render between 82-88. Results: In August 2016 the port side readings reached 86.9. In August 2017, the port side, which was exposed to the sun all day, gloss meter readings averaged 77.6 that reflects a reduction in readings of 9.3%, which given the continual exposure to the sun is minimal. This is a significant difference between Glidecoat and your traditional boat wax. When first applying the product, you will notice you are applying a liquid onto the surface that within a matter of seconds will start to make the surface appear like it is sweating. What is happening, is the product is filling in all of the pores of the gel coat and creating a protective barrier. As a result, this eliminates the ability for salt, acid, fish blood, etc to seep into the pores of the gel coat. Whereas, with a traditional wax, wax is just sitting on top of the surface and over time with wash away. As I am sure you have experienced yourself, wax doesn’t last long here in South Florida. If you are lucky, maybe 6 months (maybe)! And, doesn’t provide any protection for your boat from sun damage and salt. Our ceramic coating will last up to 18 months here in South Florida and typically two seasons up north. You may wonder why your wax doesn’t last long here in South Florida. Wax typically begins to evaporate at 110 degrees. For boat owners with their boat exposed to the hot South Florida sun all day, you can imagine the surface of your boat gets hotter than 110 during the day. Whereas, the lab testing of our product indicates it can sustain heat as high as 1,112 degrees (Yep, no typo – 1,112 degrees). Boat maintenance and pride in ownership varies from boat owner to owner. If you take great pride in the appearance of your boat. Then, it is time to consider the significant advantages of ceramic coatings compared to traditional wax.